Board games are making a comeback. 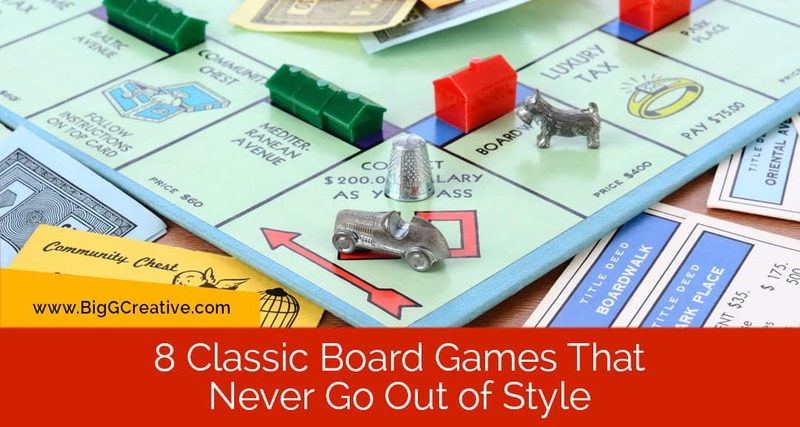 There are some classic board games that have been around for decades, and never seem to go out of style. If you’re planning a game night, check out eight classics and why they’re so loved. Settlers of Catan is a relative newbie to the list of classic board games. Players gather resources and points to win a game. One of the reasons this game is fantastic is because of the variability of the game. The “board” is set up differently each time, meaning you never play the same game twice. Loved (and hated) by millions, Monopoly is the most classic of all board games. It’s been played by over 750 million people worldwide and was one of the first board games inducted into the National Toy Hall of Fame. Why is it so popular? It’s easy to learn easy to play. Risk is a popular, mass market war game. It’s also the Goldilocks of strategy games – not too hard, not too easy. It’s a great intro to a war game because there are no plastic tanks, guns, or army guys that may turn newbies off. Created in 1948, Scrabble is the most classic word game on the planet. Simple set up, simple rules. Playing Scrabble is a great way to build your vocabulary and crossword puzzle skills. The level of difficulty is based on the players, and you can still have a great game with only two players. The epitome of detective games where players try to determine if it really was Mrs. Peacock in the ballroom with the candlestick. Hasbro updated the game almost ten years ago. They added new weapons and rooms and gave some of the characters a makeover. Colonel Mustard has retired from the military and is now, Jack Mustard, a retired football player. Most people have great memories of playing this “real life” board game. There are so many elements of fun in this game – from picking the color of your tiny plastic cars to spinning the Life wheel, to adding in the “boy” and “girl” pegs as you drive around the board. Quick to learn and set-up, Life is a great choice for your next family game night. A slide pursuit game, players race their game pieces around the board to their “home” area. Sorry only takes about 30 minutes to play. The best part? Yelling “Sorry” at your fellow opponents when you knock them off the board and send them back to the start. The OG of trivia games. Players win by answering questions in different categories and collecting “pieces of pie.” Trivial Pursuit can accommodate a large number of players by forming teams. It’s the perfect post-holiday game to play with the entire family. Here at Big G, we love playing all board games. If you’re looking to add a new title to your stockpile of classic board games, take a look at our collection of board games.